Can you imagine to see the sun for the first time after two months? 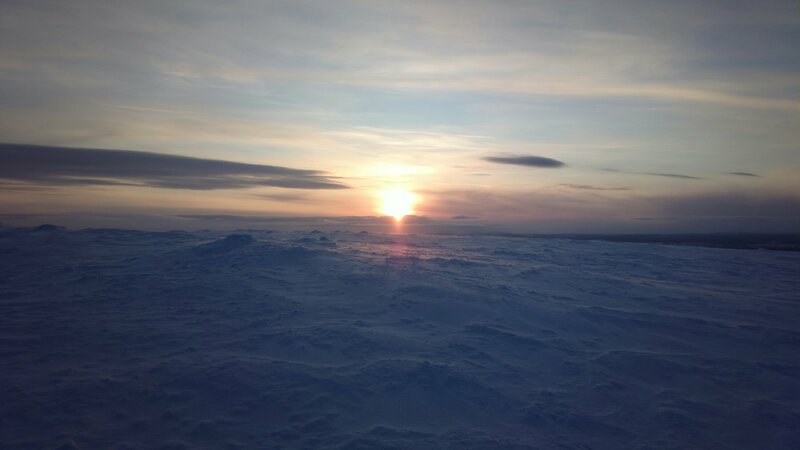 Despite the sun is already above the horizon, it is not visible down here in the valley. Just diffused sunlight and orange/pink colours on the sky. 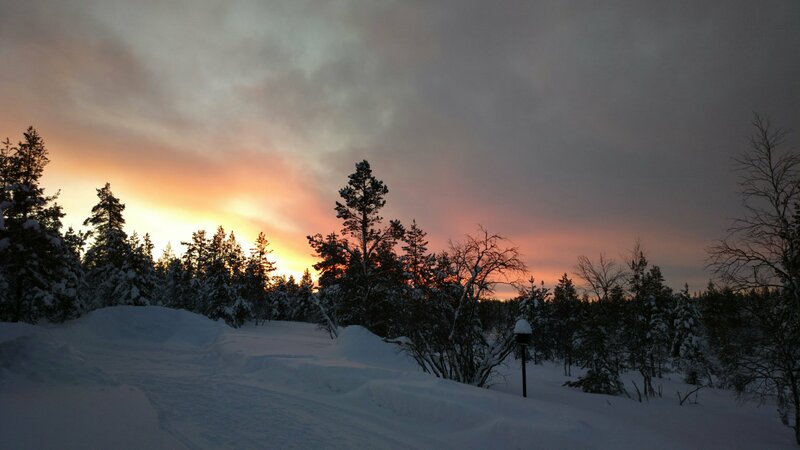 Polar night has ended and now we will have more and more daylight after every single day. Last week we had just a 30 minutes of sunlight and it was first day with some sun. It is not like you will have the whole sun visible from day to day. It starts slowly and when the sun is again touching the horizon line, you can see only the light, or part of the sun from highest places, like top of the hills. Forest is ending here. – Last “trees” on the route. 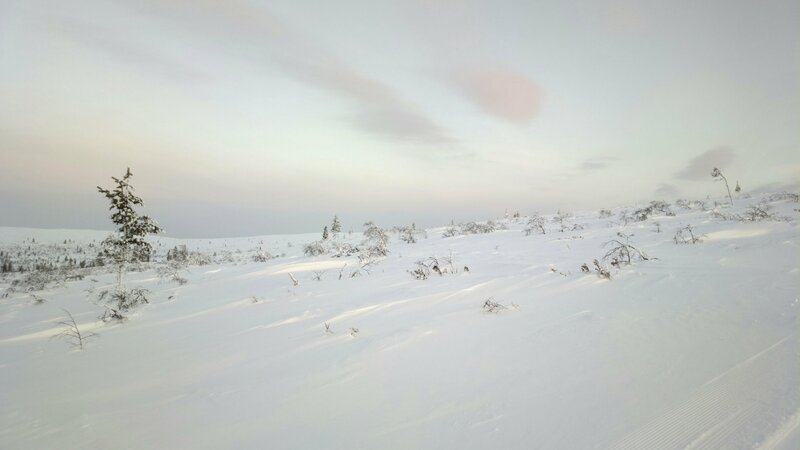 During my journey I have met only few people and small herd of reindeers running towards me, behind them was a skier and he looked like he is herding them. When those fluffy balls seen me, they started to panick. They couldn’t escape, deep snow on the edges of a road is sometimes like a fence for them. They stubbornly don’t want to go there and are awoiding running there, but they had no other option and escaped to the swamp. Someone has pest trouble. 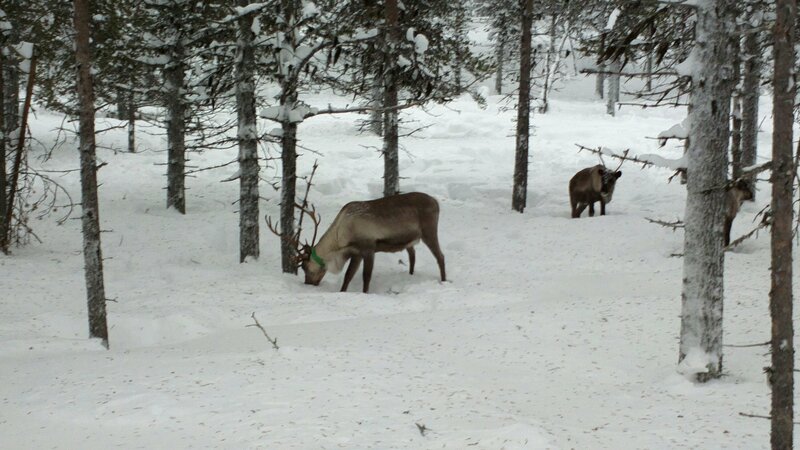 We have reindeer trouble – they are eating kitchen garbage. They are NOT vegetarians – they like bacon and sausages. I was on the “side” track which is not that frequently used. Happy with a new skis. 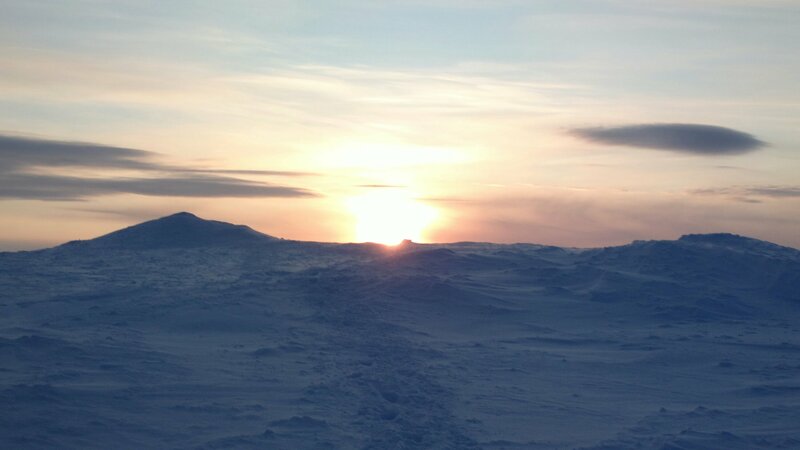 Despite the sun was some time already above the horizon, I couldn’t see it. Then the ski track “ended” and there was no ski route leading to the top of the hill. Okay, I can live with that and I could see sun even from other hills. But they were all in the Kiilopää’s shade! 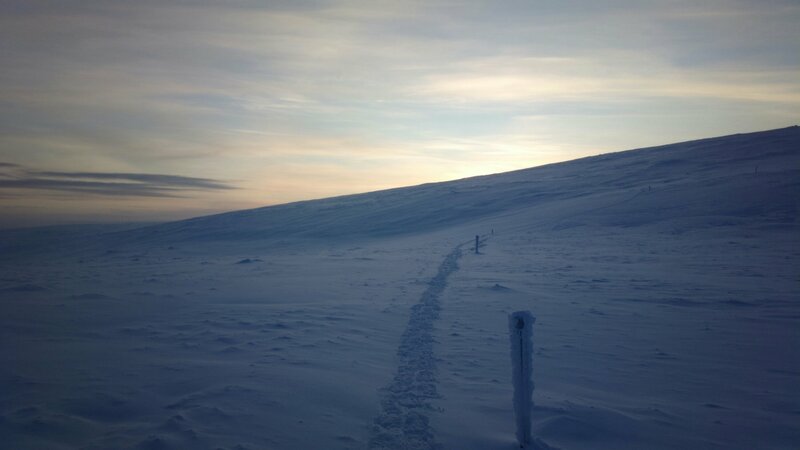 I have chosen moderate ski tract leading to the next valley, and going closely to the Kiilopää’s top. Only good thing was, it wasn’t windy. When I came above the forest level, ski track was partially dissapearing under the snow (maybe they weres cleaning it this morning). Influence of the wind was getting to be more imminent. I took one more layer, which I took off some time ago and continued. It was a bit harder, still much easier than nearly any track in Krkonoše (Czech mountains). After some time I was surrounded by complete whitness, only the sky was a bit more blue. no sun, despite I was close to the top. Kiilopää hill was blocking it. At the sign I had a chance to continue or choose a walking trail leading to the top. Deciding was easy. I WANT TO SEE THE SUN. It was shortest but hardest part of whole journey. The snow was very hard and frozen. At some places the sound was reasembling moving on top of the board or panel. Easy to walk on even without skis. First sun rays after two months of darkness. From the hill was leading route which was all the time bathing in the sunshine. I took the skis off and I was running down. The snow was hard. I was running and enjoying the sun. There was also second reason for running down. On top of the hill temperature droped to -22°C and I didn’t have jacket. It this condition you definitely want to move and generate some heat. Truth is, I was happy from the sun and easiness of running. The reward. Whole sun above the horizon slightly after noon touching the clouds. Whole way back was much easier and faster (mostly downhill). Nearly all the way I have seen nice colours of sunset. I was back at home aerlier than the dusk came. It took me 3 hours (with stopping at the restaurant for a moment) and I did 16,5km which is longest so far. I am getting better. And my new skis still need some adjustments. By the way, it is worth to spend some money on the equipment. Now I have two pairs of skis, one very cheap and one not cheap at all (still not super expensive) and it is not possible to compare. Skiing is no longer suffering and my terrible skiing style wasn’t that much my fault. Good skis learned me, where I was making mistakes and now I can move much easier. 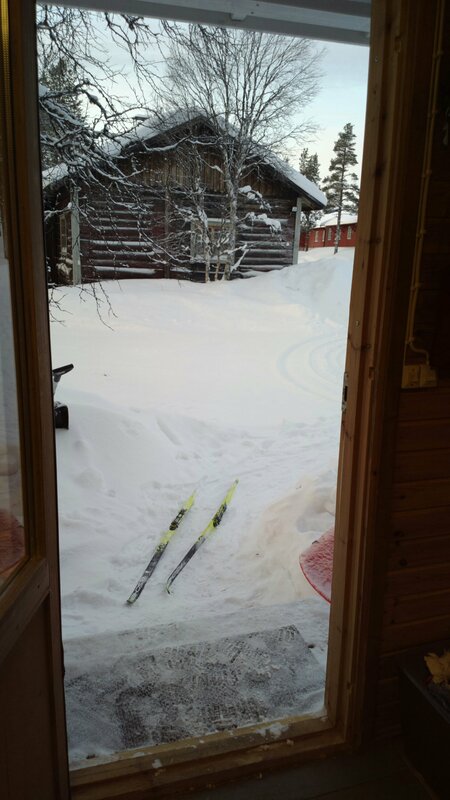 Note: I am skis owner for about 10 years, but most of the winters I had exactly one skiing day on 5 to 10 cm of snow without a track. I had been using waxing skis, I have no idea how to wax them. 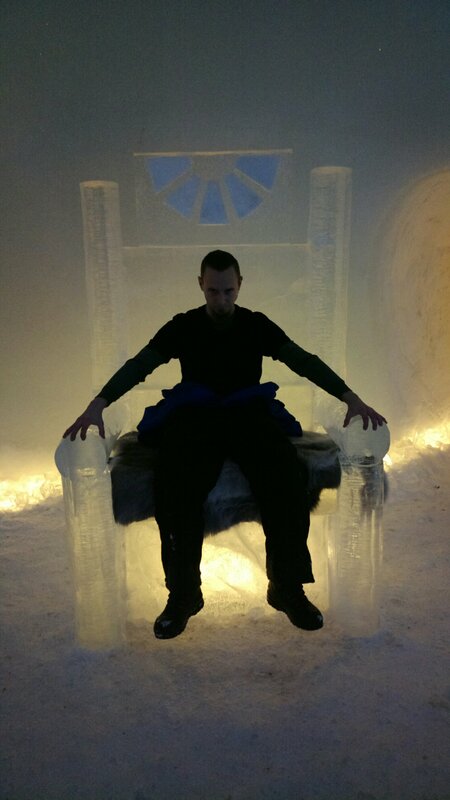 Usually it wasn’t very enjoyable, despite I liked the moving and the snow. 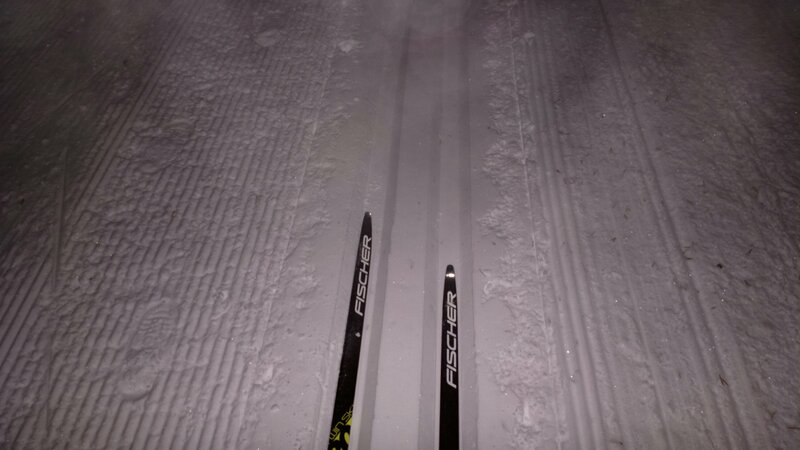 Now I have changed them for more sportive skis with skin, also classic style and for tracks. The difference is amazing – for the first time in my life I can actually ski. Note 2: All these photos are made with my Nokia 808 which has quite good camera and I like to use it as a compact camera (it is better than my old camera). For better photos I have more “proffessional” equipment – Nikon D5000. In all these articles it is about half and half. Next Next post: What has happened?